Design your own puppets inspired by Mo Willems’ crew of characters on Saturday, October 13 at 11 and 2 at the Kansas Children’s Discovery Center. Explore a variety of materials and where your imagination takes you! Also visit the whimsical world of Mo Willems at The Pigeon Comes to Topeka: A Mo Willems Exhibit at the Kansas Children’s Discovery Center, open September 24, 2018 to January 4, 2019. 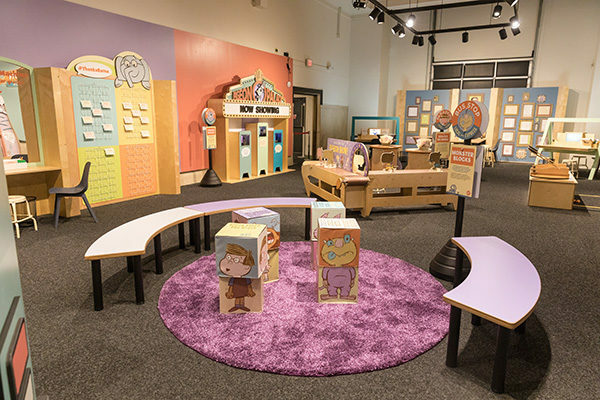 The exhibit, sponsored locally by the Redbud Foundation, brings to life all of Mo Willems’ most popular picture books and characters, including The Pigeon, Elephant and Piggie and Knuffle Bunny in a fun, interactive exhibit that’s full of laughs.